A piece of news, an engaging headline can never be ignored by an avid reader. Catchy headlines and captivating stories contribute to increased conversion rates and improved customer base for businesses. Around the world, businesses have accounts in a number of blogging platforms. As it narrows down to the words that are said or written, we discuss how brands use words to their advantage. 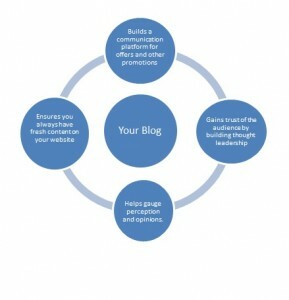 Can Blogging truly impact one’s business positively? Most businesses who have been used to traditional media coverage for promoting their products and services online, have slowly realized the significance of blogs and social media platforms. A simple rundown on the statistics of blogging activities can give one the ability to see the importance of blogging. • 92% of companies who have blogged multiple times per day have acquired a customer from their blog. • B2B marketers who use blogs generate 67% more leads than those that do not. • 60% of consumers feel more positive about a company after reading custom content on its site. • 68% of consumers are likely to spend time reading content from a brand they are interested in. For domain resellers, more than displaying the availability of certain TLDs or gTLDs, it’s imperative to interact with potential domain owners. Blogs featured on various sites inevitably improve accessibility for those who intend to market products using search engines. In other words, the more one communicates with potential customers, the more successful the business can be. Today, as much as advertisements impact viewers, we find an equal and more sustainable influence from blogs. Blogging platforms such as Blogger, WordPress, Tumblr, Hubspot, Mashable, Techcrunch and many more are the most popular platforms for publishing blogs. Apart from these platforms, companies have their own blog pages as an active channel to voice their opinions; digital marketing managers also share their views on these pages. The decision to have a corporate blog or a platform that speaks about your brand will be dependent on how much you want to engage your audience. Corporate blogs are also created for important events, challenges in the industry and future plans of a particular company. If you intend to publish your content on other websites and platforms, then the nature of writing differs as digital marketers speak as observers on diversified platforms. 1. Good content leads the way: Writing about recent events may be newsworthy, but may not engage your readers well. Bloggers prefer sharing ideas that easily connect with the readers. 2. Be informative and you will be appreciated: Certain companies deliver niche blogs that are revered across industries due to the nature of the information published. 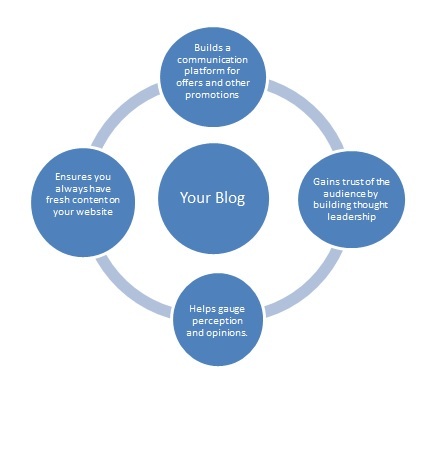 Delivering unique and highly applicable information helps in creating an online presence for the blog. 3. Be creative: Corporates such as Disney, IBM, Virgin and BBC are always reinventing their blog pages. Some corporate blogs use images while others use creative placements of blogs and related information. 4. It’s all in the headlines: Top sharable blogs are usually the ones with catchy, engaging and extremely unique headlines. Sometimes simple headlines also create a big impact on readers. 5. Leave your opinion: The key takeaway from a blog is often the opinion left over by the blogger. In a highly competitive world, the last word truly impacts businesses. Website owners should not hesitate to use blogs as an ideal communication channel for voicing their opinions.